Skeletons and Halloween go together like peanut butter and jelly! 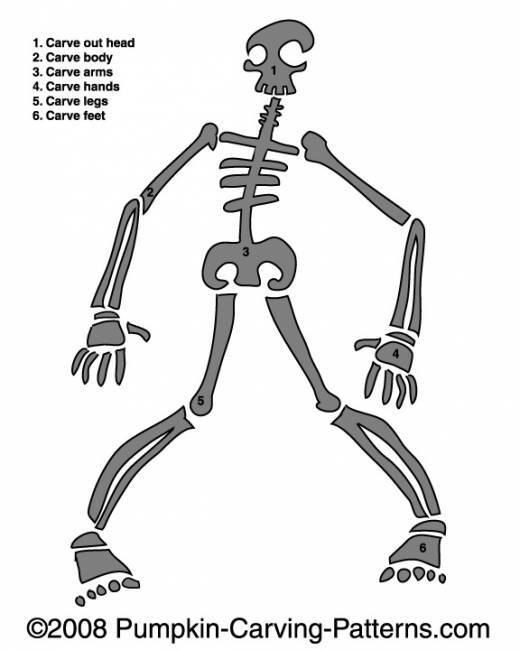 Try out this skeleton pumpkin carving pattern and get in the Halloween spirit! When you light the candle inside you'll have the best pumpkin on the block!